Melon with Serrano Ham A summer favorite. Simply slice your ham (or buy machine cut ham) and enjoy it with slices of ripe melon. This classic combination of sweet and savory is one of Spain’s oldest recipes and is a firm favorite at family events, weddings and meals with friends. The original recipe, featuring slices of melon and ham slices, can be left untouched or altered to suit. 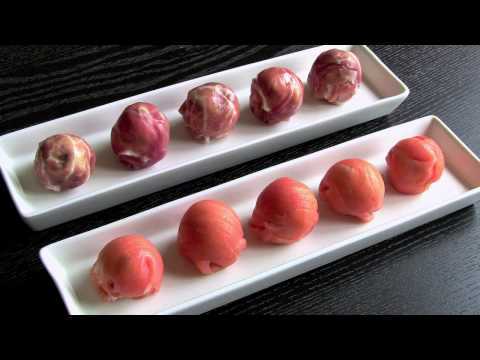 Try chocolate coated melon ham or even cold melon soup with ham shavings. 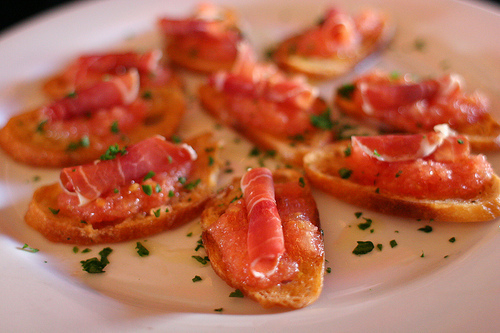 Bread with tomato and ham: This is a classic in Catalonia, gradually being established in the rest of the peninsula. The original recipe is prepared with rustic bread. The bread should be cut into slices and spread with a ripe tomato, then sprinkled with a little olive oil and a pinch of salt, and it’s ready. You can choose to toast the bread and spread with garlic before the tomato. You can also prepare other mixtures and spread the slices of bread later. Either way, it will be delicious! (e.g. Roquefort) into the mix, or to roll endives with Spanish ham and broil the whole parcel for a few minutes. 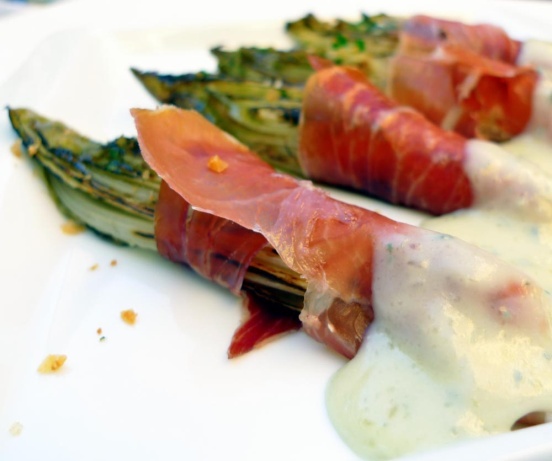 Asparagus With Serrano Ham: This is prepared similarly to the endives. 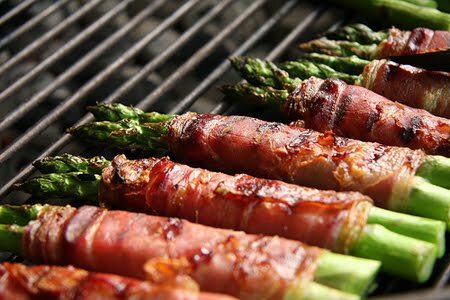 First, boil the asparagus, or alternatively, grill or bake. Then wrap them in Serrano ham. It's a delicious combination of two dishes that are full of personality. You can also broil if you like croquettes. 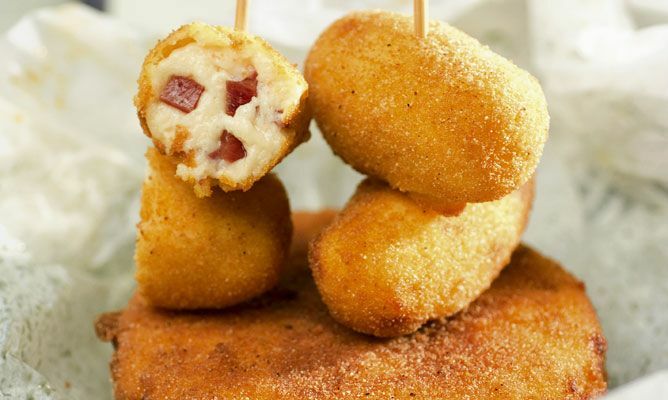 Croquettes With Serrano Ham: Probably the recipe with Serrano ham that finds most favor with gourmet palates. Admittedly it's a bit more work to prepare than the other recipes here, but there’s no doubt that it’s worth it. There are many ways of doing these, but you can start by sautéing a little onion and/or garlic in oil, and add the adding cubed or chipped Serrano ham. Next, add flour and milk gradually and stir continuously to avoid lumps. It's time to spice up and add salt. You can use nutmeg, pepper, parsley, whatever you have on hand or prefer. This way you get the dough. Then there is only allow to cool. A method for accelerating the process is roll the dough on a tray. It can also help you to cut into roughly equal pieces, then shape the croquettes. Once done, roll in breadcrumbs and fry in oil. 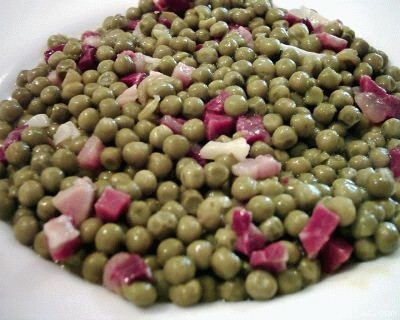 Peas With Serrano Ham: A quick and easy recipe with Serrano ham. You can use cooked peas or cook them yourself at home. Saute onion, garlic and a little pepper and then add Spanish ham, cut into small cubes. Splash in a little red wine, and you only need to add the peas and mix well to blend flavors. You can turn this one quickly into a jumble by simply adding an egg or two.